Last Saturday, Chris, two friends, and I had the opportunity to check out America Eats Tavern, a new pop-up restaurant by Chef José Andrés. I could not contain my excitement! We showed up for brunch right when the restaurant opened up, and easily got a table. The place was definitely pretty packed when we left, so I’m glad we got there early! 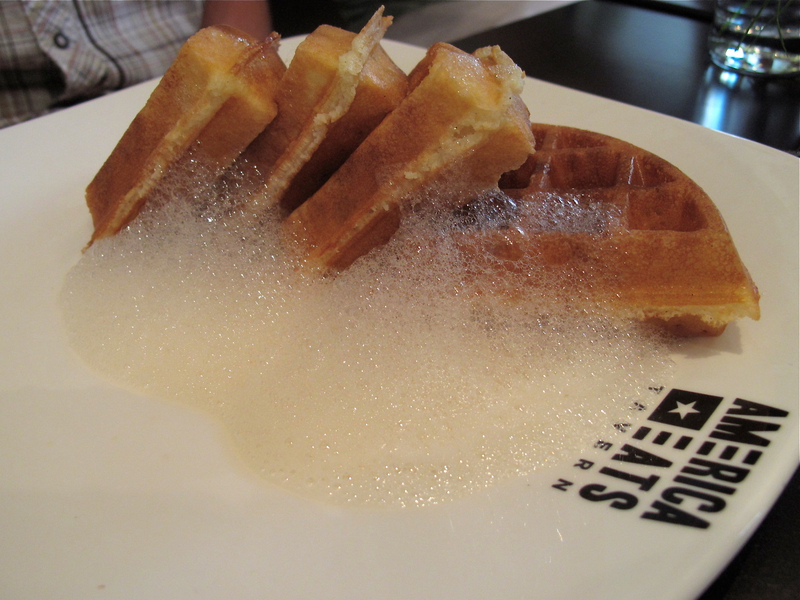 America Eats is replacing the space where Café Atlántico used to be. 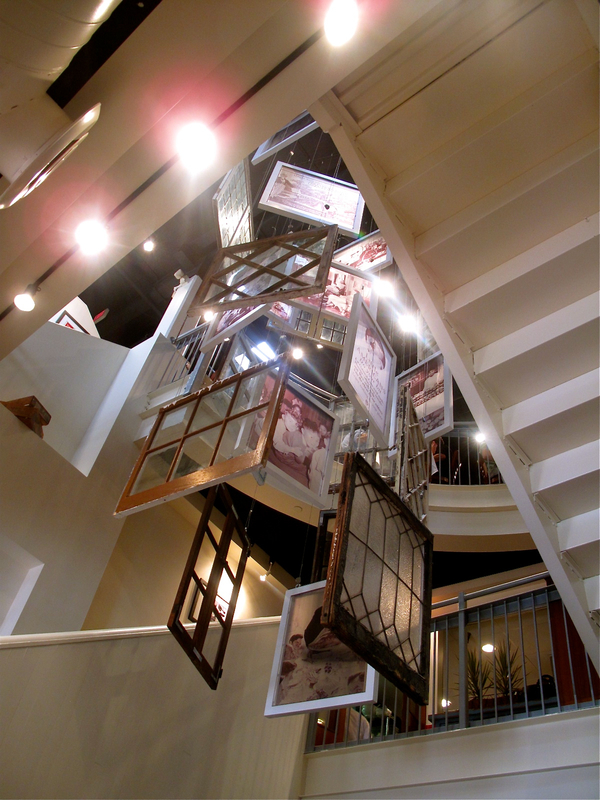 The famous and apparently amazing Minibar, which is usually upstairs, is currently undergoing renovation. America Eats closes in January, and Café Atlántico actually will move to a different location… so I wonder what will happen with the space next year! There is definitely a lot happening. Anyway, America Eats Tavern is exploring a new and innovative approach to classic American dishes from different time periods throughout history… many of which have been lost over time. The restaurant goes along with the National Archives exhibit, “What’s Cooking, Uncle Sam?” We didn’t go to the exhibit this time around, but we’re planning to go soon with a bigger group and return to the restaurant around that as well. 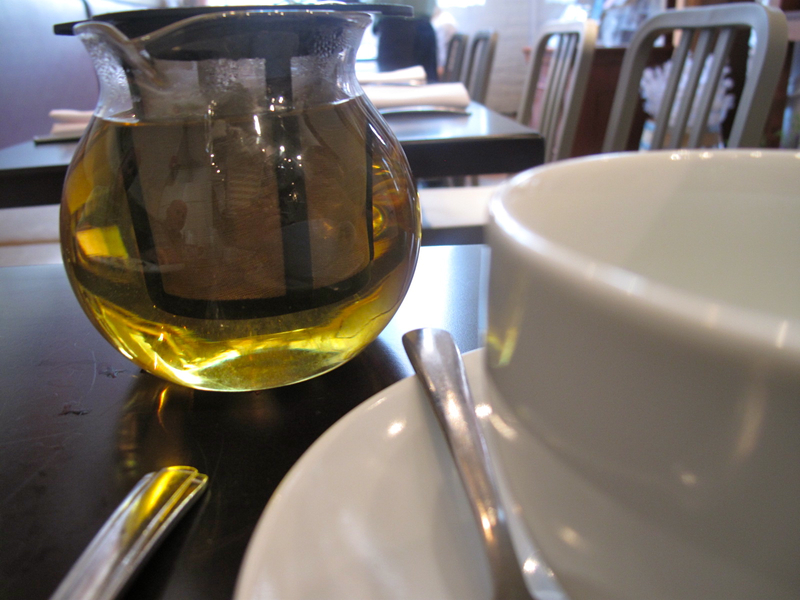 Since there were four of us, and we are all adventurous in trying new foods, I have many photos to share! 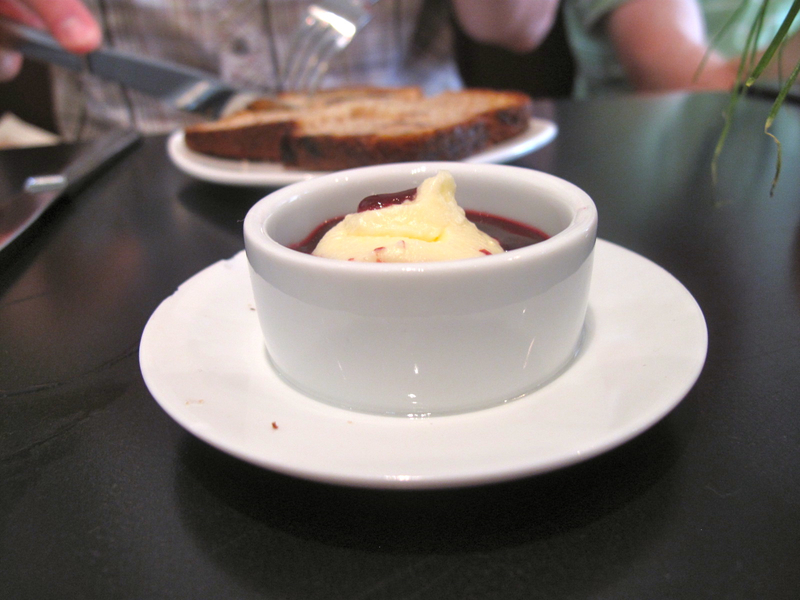 Here is the delicious Blackberry Butter that came with the bread basket we ordered. We tried two cocktails among the four of us. I don’t remember the name of the one on the left, but as you can see, it was a sparkling and lighter drink. 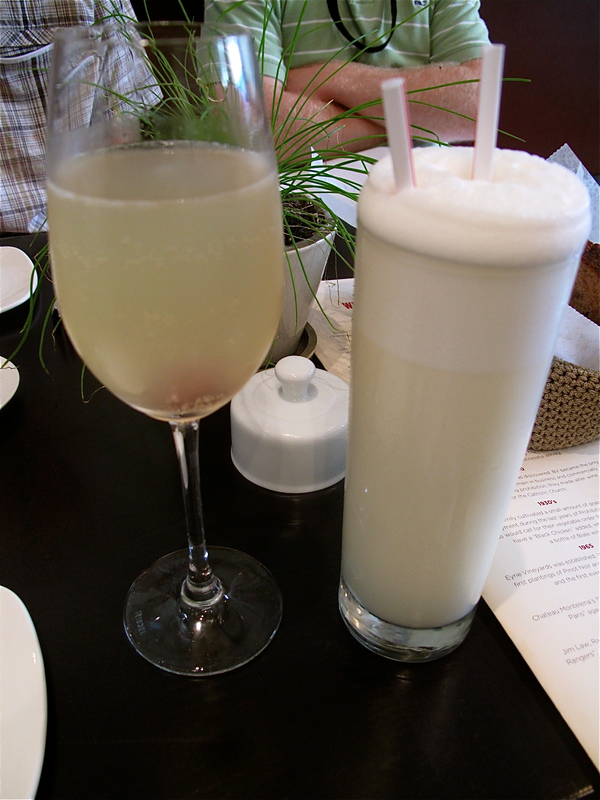 The cocktail on the right is the Ramos Gin Fizz, made with gin, egg whites, citrus, cream, and orange flower water! You could taste every single one of those ingredients in perfect harmony. The fizz on the top was very solid, and barely moved as the drink quickly disappeared. The Ramos Gin Fizz was developed by Henry C. Ramos in New Orleans in 1888. Amazing! 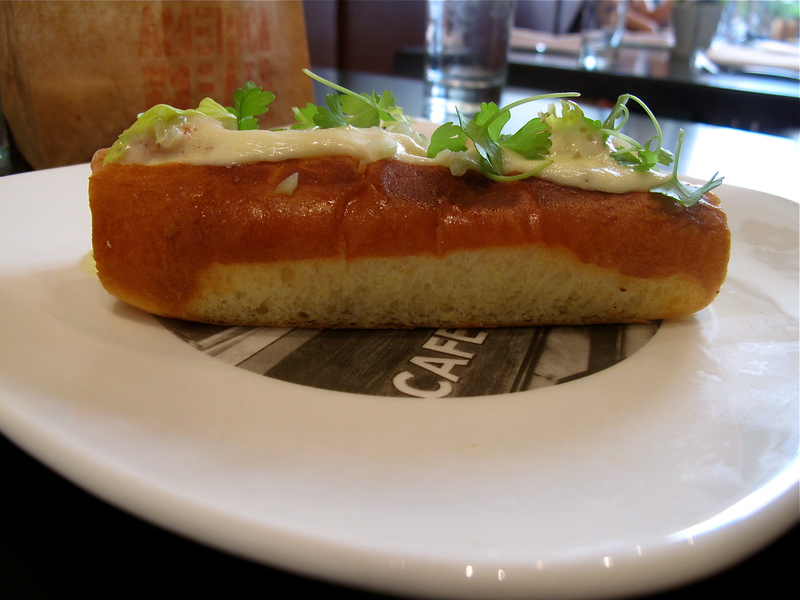 I tried a little bit of Chris’ lobster roll, and it was pretty good. He said it wasn’t his favorite roll he’s ever had, but he liked how the mayo and lobster were separated in the sandwich. The other boys enjoyed their dishes a lot, though comments of the portions being a little small were made. I absolutely LOVED The Hangfry! It was packed with flavor, and I felt the joy that the gold miners must have felt when they struck it rich in California and then bought this particular dish to celebrate. 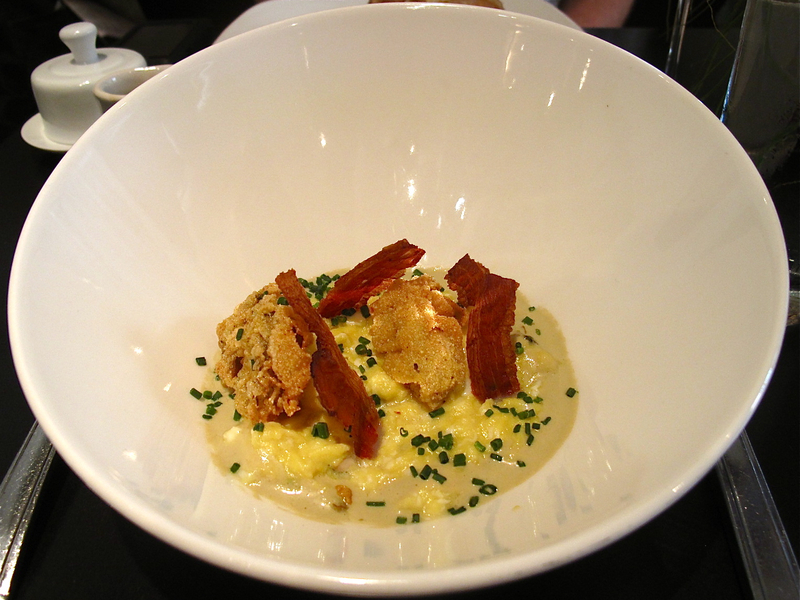 It was the perfect amount of oyster taste, and everything I could want in a glamorous brunch entrée. We then ordered two desserts and two teas. I tried a little of everything, and the desserts were incredible! The Key Lime Pie was apparently made from fresh key limes… something most restaurants don’t use, for some reason. 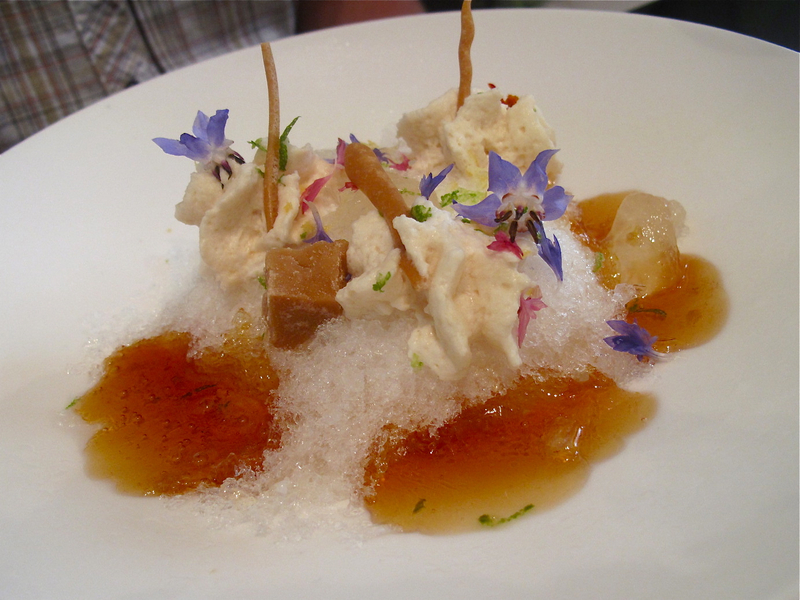 The Vermont Sugar On Snow really showed off the amazing Vermont syrup, and the flowers added a unique twist to the dessert. 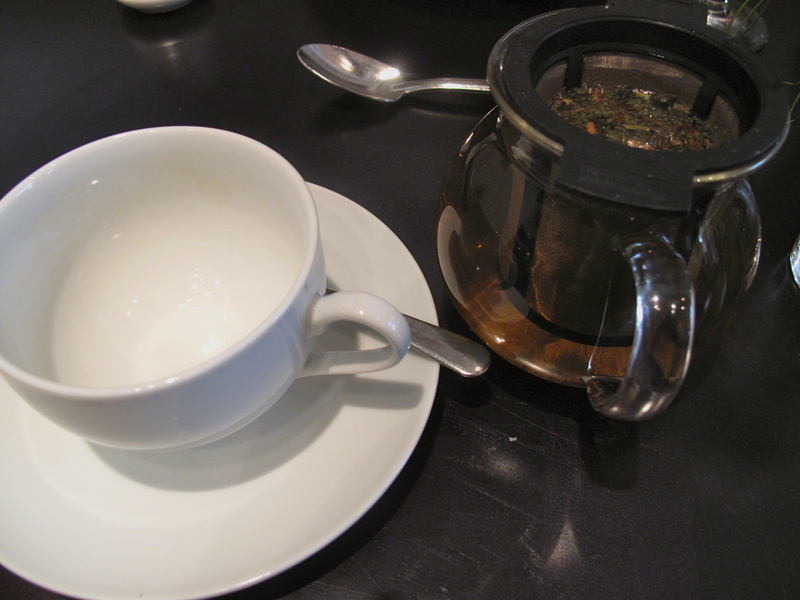 Chris and I enjoyed our teas, though they tasted pretty standard to us. Filed under out and about, wine and drinks Tagged with america eats tavern, america pride, bacon, balsamic hyperion tea, blackberry butter, boston tea party, brunch, café atlántico, california, cocktail, dandelion tea, eggs, flowers, foam, gold miners, hangtown fry, ice, james hemings, jamestown, john d. rockefeller, josé andrés, key lime pie, lobster rolls, maine, menu, minibar, monticello, national archives, new orleans, oysters, pop-up, ramos gin fizz, shrimp 'n' grits, sparkling, vermont maple syrup, vermont sugar on snow, waffles, what's cooking uncle sam? I studied abroad in Spain four years ago, and fell in love with the country! Early on in our relationship, Chris and I went on a date to Jaleo, “the renowned tapas restaurant of José Andrés.” Oh my goodness. One sip of the sangria, and I was transported back to Spain! The tapas were amazing, and I have since fallen in love with the food at every restaurant of his. Chris and I actually had our rehearsal dinner at the Jaleo in Crystal City, and it was SO delicious and fun! 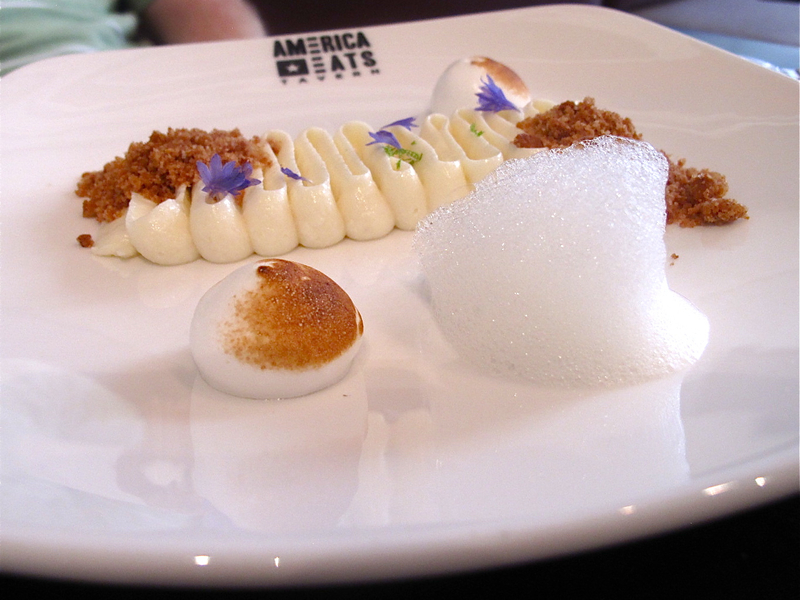 Anyway, I could go on and on about Chef José Andrés, and I’m sure I will write more entries on his food. We had some friends over for dinner on Saturday night, and I decided to make it Spanish-themed and use recipes by José! His Made in Spain cookbook was the inspiration. 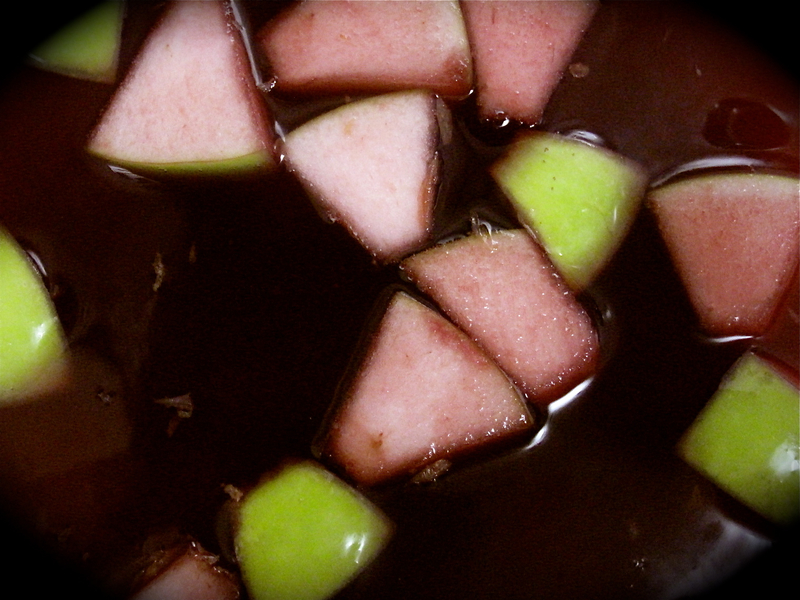 I made red wine sangria, beef tenderloin with picón cheese, sauteed green asparagus (white asparagus probably would have been more authentic! 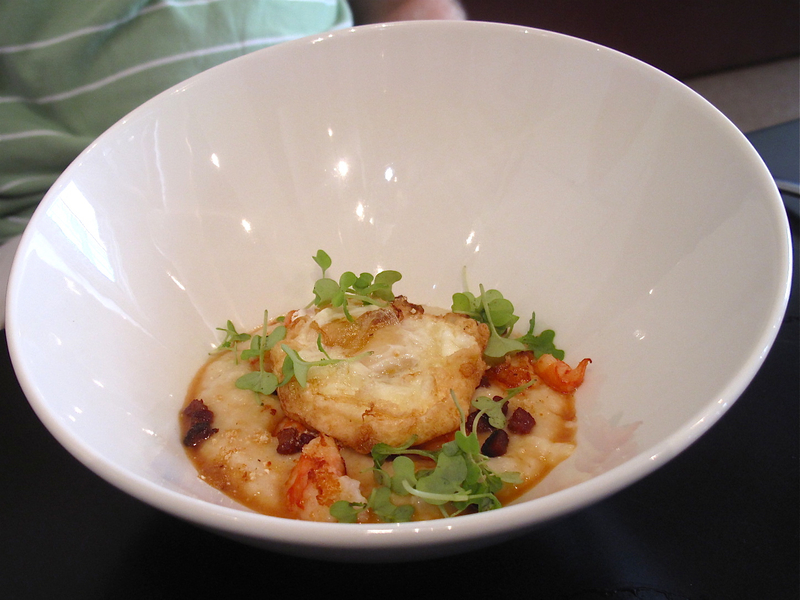 ), and mashed potatoes with manchego and olive oil (that recipe can be found here). Here you can see most of the entire meal… I’m not sure why I put the mashed potatoes in a bowl when everything else was already on the plate! 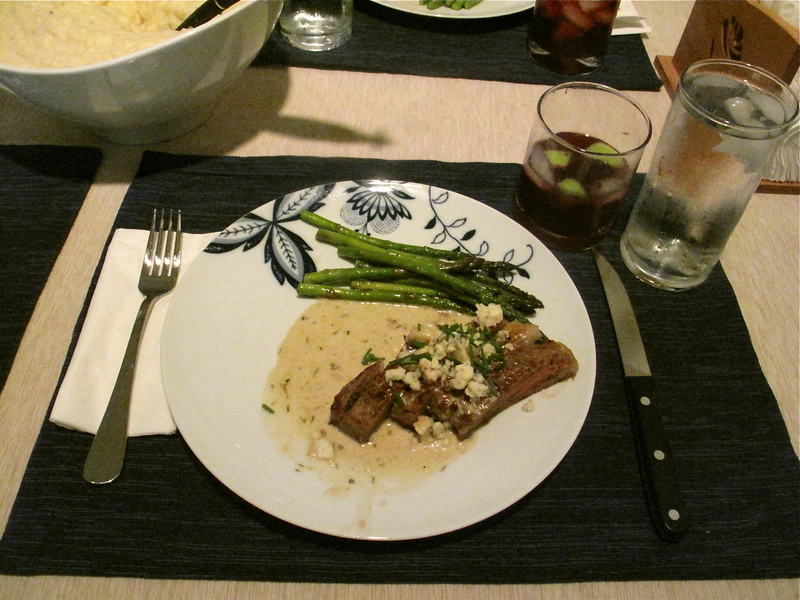 Steak w/Blue Cheese Sauce, Asparagus, Mashed Potatoes w/Cabra Cheese, & Sangria! There were a few adjustments. 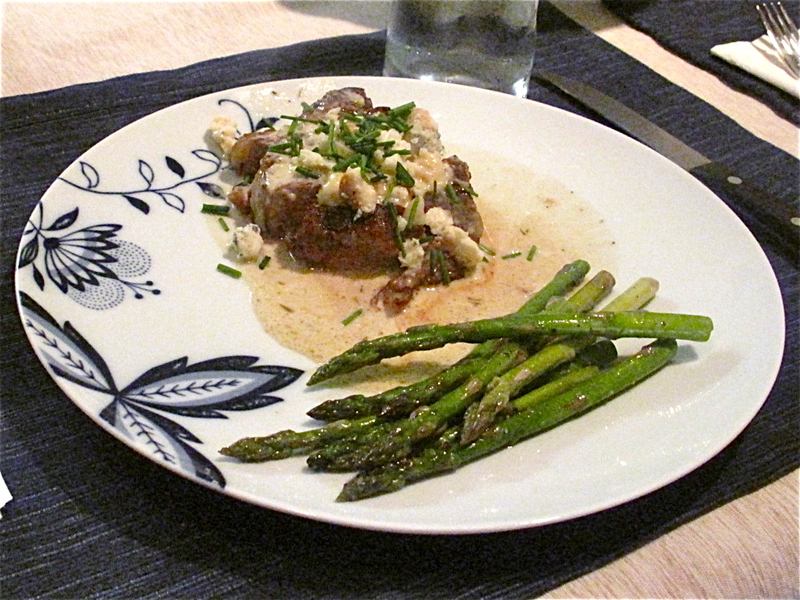 I used ribeye steaks (cheaper) and Moody Blue Smoked Blue Cheese (from Screwtop!) for the sauce. I also used Cabra cheese for the mashed potatoes (also from Screwtop) instead of Manchego. What a fun night of Spanish-style food with our friends! By the way, check out this new temporary restaurant of his that is opening up soon. It’s going along with the National Archives’ exhibit, What’s Cooking, Uncle Sam? I can’t wait! Filed under the eleventh floor kitchen, wine and drinks Tagged with america eats tavern, asparagus, blue cheese, cabra, dinner party, jaleo, josé andrés, national archives, olive oil, potatoes, recipes, red wine, sangria, screwtop, spain, steak, what's cooking uncle sam?